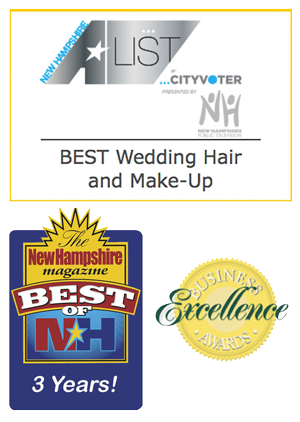 H2O Salon Spa- Voted Best Salon NH, Best Spa NH, Best Hair Color NH, Best Wedding Hair & Makeup in New Hampshire. Top 100 Salon. 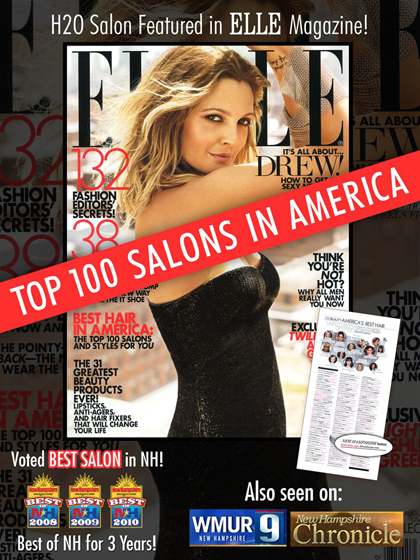 Full service Award Winning hair salon and day spa bringing the latest trends in beauty and fashion to Bedford, NH. Manchester, New Hampshire. 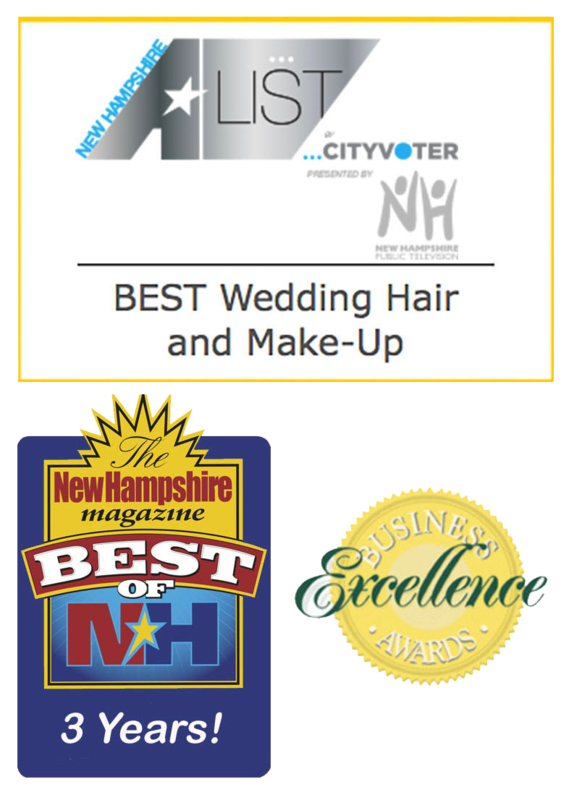 At H2O Salon Spa we don't just say we're the best salon and spa in NH. Award winning H2O Salon Spa is a culture of education and artist, working at the top of their field, with an emphasis on service and quality. Change your look, refresh your current one, or completely reinvent yourself. Whatever the occasion, wedding, makeover, or bride we will design a look to fit your personality and lifestyle. 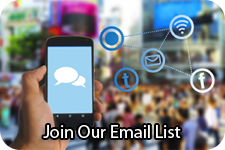 We serve Manchester NH, Bedford NH, Concord NH, Merrimack NH, Hooksett NH, Goffstown NH, Amherst NH, and the surrounding New Hampshire areas. H2O Salon Spa offers a wide variety of service including precision and dry haircut. The latest hair coloring techniques- ombre, sombre, color melt, hair painting, balayage, highlight, babylights, PPD free organic haircolor, vivid and mermaid hair color. Hair extensions- bonded, tape in, and links. Eyelash extensions- Mink Volume eyelash extensions, permanent, semi permanent, strip lashes, and lash lift, lash perm. 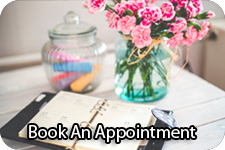 Airbrush makeup and spray tanning, skin care, facials, ultrasonic facials, facial peels, makeup artistry, full body waxing, lash and brow tinting, and bridal services. H2O Salon Spa's ongoing involvement in editorial hair styling, fashion shows, and educational sessions, keeps its in-demand staff fresh and forward thinking, continually expanding their talents. This approach and dedication contribute to H2O Salon Spa's unique experience focusing on modern techniques, meticulous precision, and a fresh perspective on individual style.